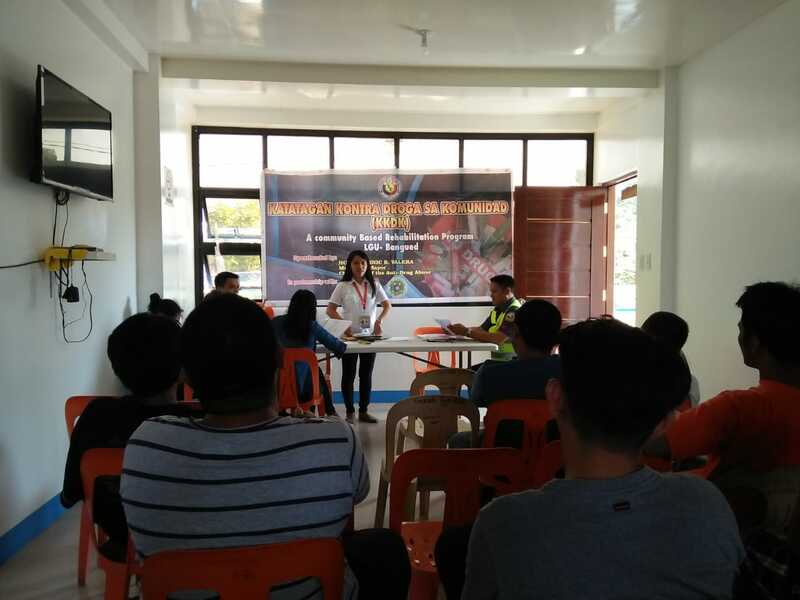 On April 3, 2019, 11 drug dependents from Zones 1, 2, and 3 completed the two-day Katatagan Kontra Droga sa Komunidad (KKDK), a community based rehabilitation program of the Municipal Social Welfare and Development Office. KKDK is a program of MSWDO in partnership with the Department of Interior and Local Government (DILG), Department of Health (DOH), and the Philippine National Police (PNP) which aims to reform drug dependents in the municipality with the support of their family members. The activity will also help drug dependents understand the effect of drugs to their lives and families. The Municipal Social Welfare and Development Office with the Department of Social Welfare and Development-Sustainable Livelihood Program are also encouraging them to avail of the livelihood programs.